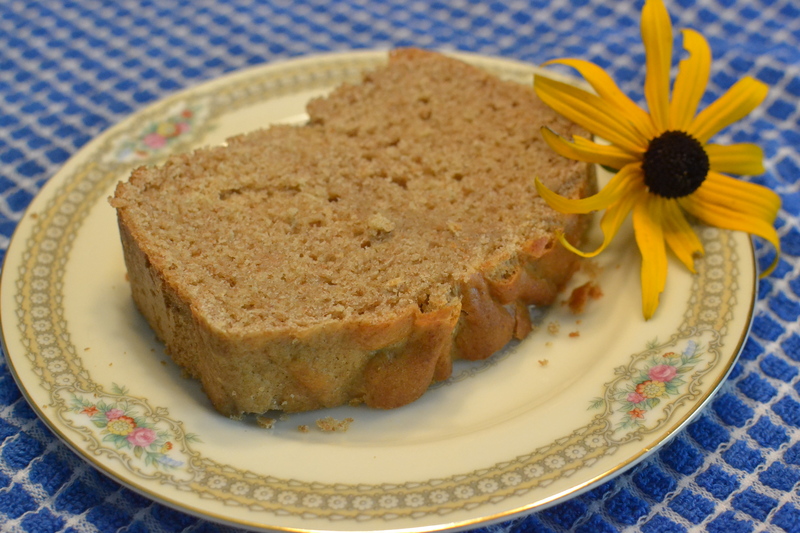 When I first found this recipe for Graham Bread, I was interested in two things. First, who is Elmer Smead? Second, what is graham flour? I thought it was unique that a man had given my grandma this recipe. All of the other recipes I looked at, were given by a woman, if they had a name on them. I thought the first question would be easy enough to get an answer to. My grandparents lived in a small rural community where everybody knew everybody. I found my dad and asked him, “Who is Elmer Smead?” He said, “I don’t know. Why, did he call or something?” Okay, so maybe the answer to the first question was going to have to remain a mystery. 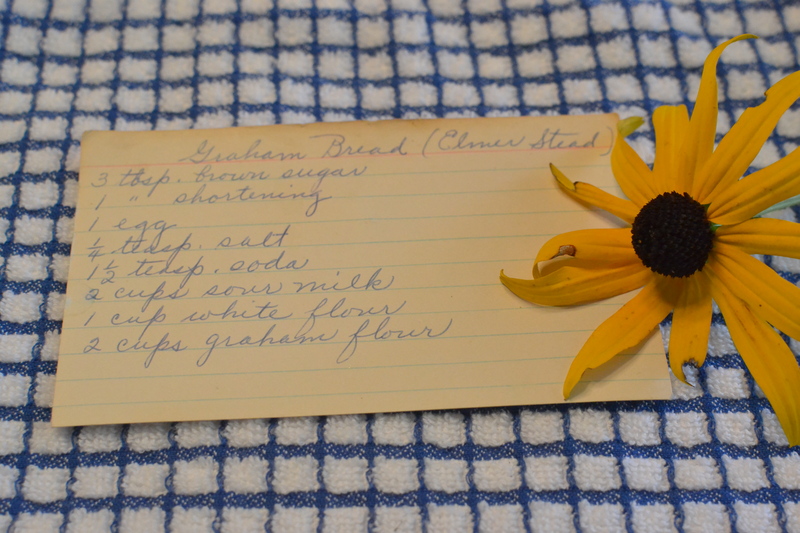 When I told my dad he was the person who had given Grandma Dora this recipe and did he remember him he said, “Never heard of him.” Oh well, at least I would be able to find out if this mysterious Elmer Smead was a good cook or not after I made his bread. 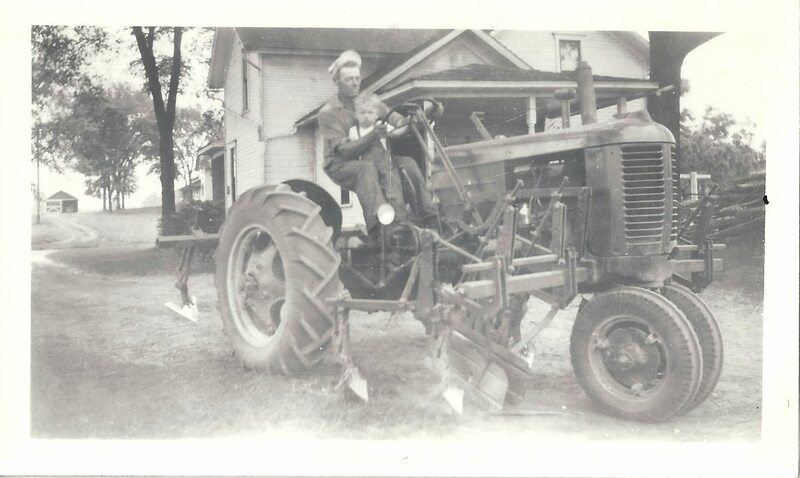 My Grandpa with my Dad on the old tractor on their farm. Before I made Elmer’s bread, though, I would have to find out what graham flour was. I did a little research for this second question. First, I looked on a box of graham crackers and sure enough they had graham flour in them. Interesting, but not really that helpful. So, I googled graham flour and found that it is a specialty flour that is also known as whole wheat pastry flour. I have purchased and used whole wheat pastry flour from the Amish bulk food store we go to when we are up north, so I knew what that was. And since I was headed up there this summer, I bought a bag to use in this recipe. This recipe ended up being very simple to put together. The recipe had only a list of ingredients and no instructions at all. I decided to cream the brown sugar and shortening. I then added the egg and mixed well. 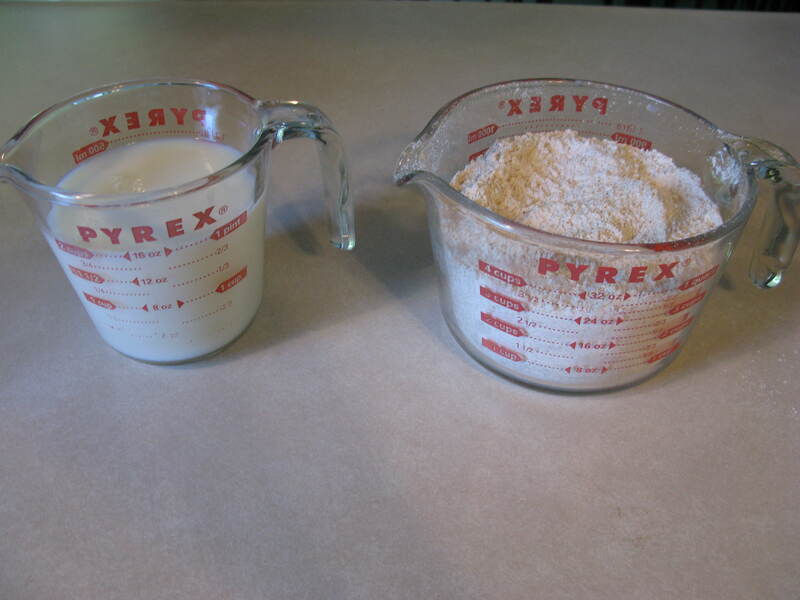 Sour milk and dry ingredients ready to be added to the creamed ingredients. I combined all of the dry ingredients and then added them alternately to the creamed ingredients with the sour milk. 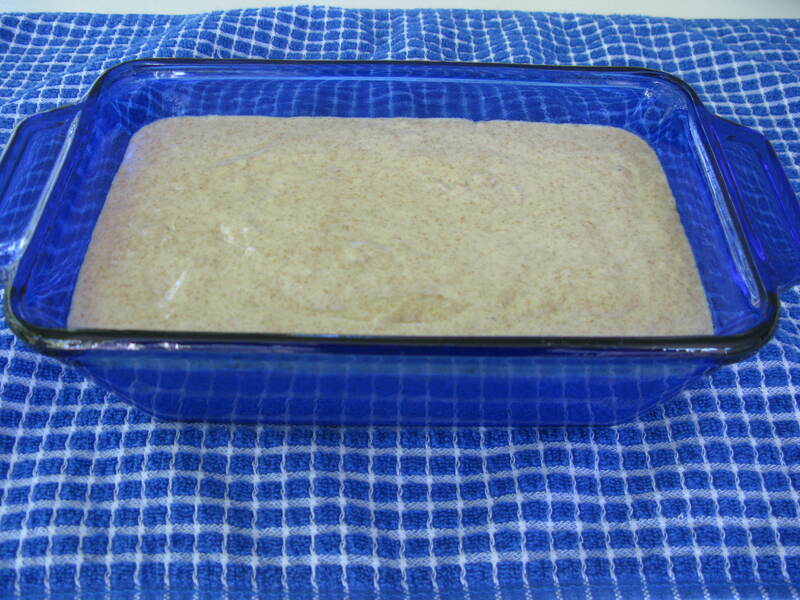 Batter in the loaf pan ready to go into the oven. I then decided to grease one loaf pan and pour the batter into the pan. I set the oven to 350 degrees. I baked it for 30 minutes. The top was a nice crusty brown, but the inside still seemed a little undercooked. So, I let it go about 10 more minutes and it was done. In a mixing bowl, cream brown sugar and shortening. Add the egg and mix well. Combine all of the dry ingredients. Add dry ingredients alternately to the creamed mixture with the milk. Pour the ingredients into a greased loaf pan. Bake at 350 degrees for 40-45 minutes. Graham bread has a very distinct, earthy flavor. I would compare it to corn bread in some ways. It is very good with honey. It is a very healthy and delicious addition to any meal. Thank you for the recipe Elmer Smead! You ended up to be a good cook, whoever you are. 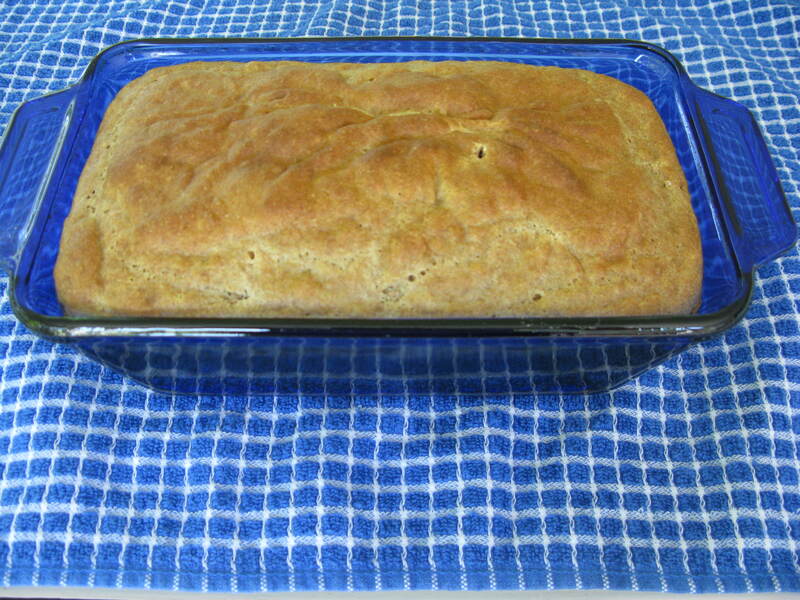 This entry was posted in Breads and tagged baking, Bread, Graham Bread, Graham Flour, grandma's cooking, homemade, Quick Bread, scratch cooking, Whole Wheat Pastry Flour by GrandmothersRecipeBox. Bookmark the permalink. Oh sounds yummy! So many recipes to try from this cool blog! 🙂 I miss you. We should bake together some day. Thanks Linda! Feel free to share our blog with your friends on FB etc. It would be fun to bake together, friend! I think you can get graham flour ground by the wind mill in the gift shop at Wind Mill Island in Holland. Horrock’s might have it as well. Hi Gwen! We looked it up online and Bob’s Red Mill and King Arthur Flour companies both say that they make Graham flour, but they didn’t carry it at Meijer. Maybe other stores, like Horrocks would. We’ll have to check it out.